Art Cody Haungooah began making pottery in 1972. 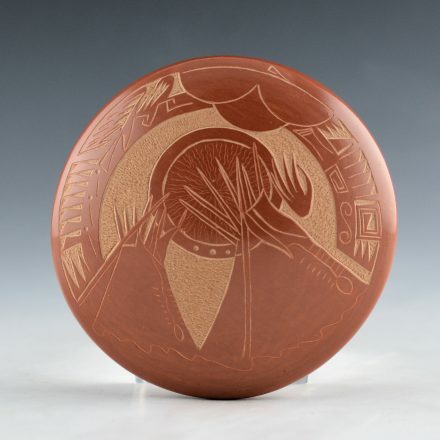 He brought his Kiowa heritage and culture to the pottery of Santa Clara Pueblo. This piece is from around 1980. 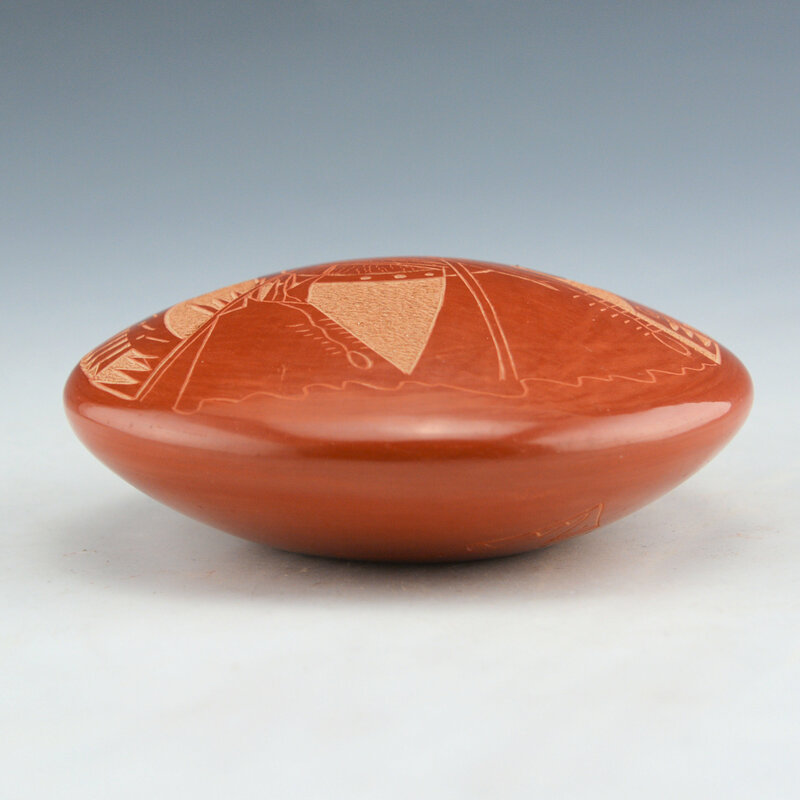 It is a seedpot and fully polished. It is an unusual design in that it is based more of Kiowa history than that of the Southwest. There are two teepees as the design. They are surrounded by cloud and feather patterns. It is signed on the back, “AH, Haungooah”. It is in excellent condition with no chips, cracks, restoration or repair.